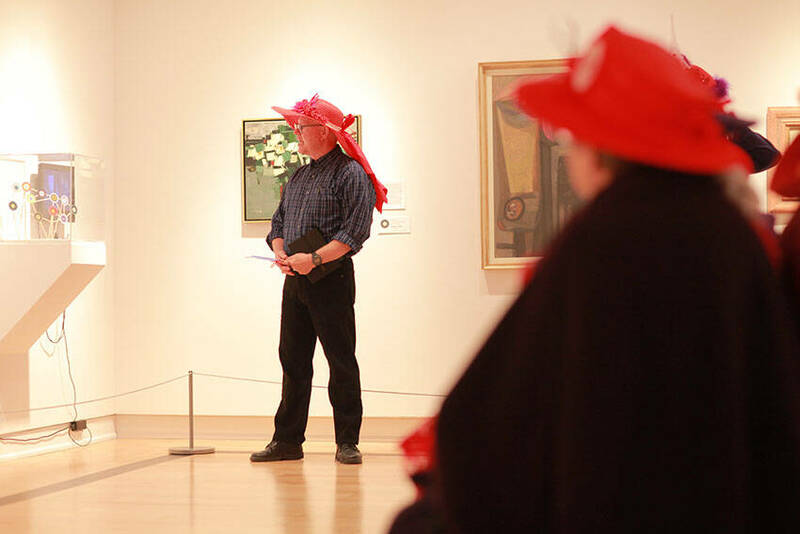 A retired teacher, Steven Bland has been volunteering with the RMG as a tour guide, gallery attendant, community outreach facilitator and research assistant since 2013. 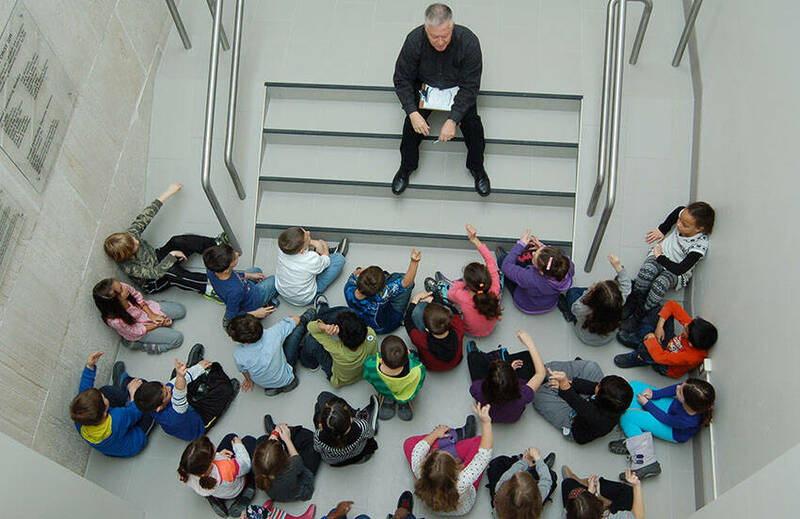 Dynamically guiding schools and private groups, Steven goes above and beyond for visitors. 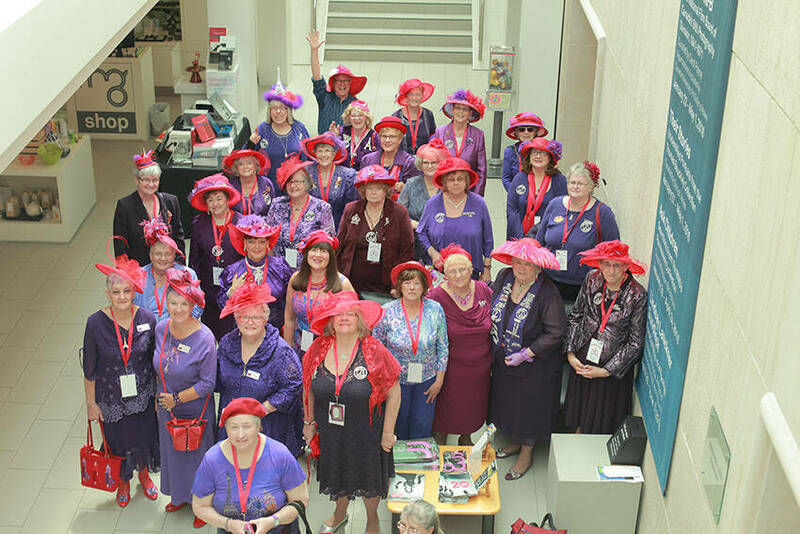 When touring the “Red Hat Ladies”, he took it upon himself to create his own Red Hat, adorning the brim with flowers and a scarf. As gallery attendant for our “Pride” celebration, Steven accented our usual ”Ask Me” buttons to include rainbow ribbons and created comprehensive booklets with exhibition information for newer volunteers. Steven ran a gelliplate workshop for volunteers, creating materials for our art tent at the annual “Tree Lighting” ceremony. 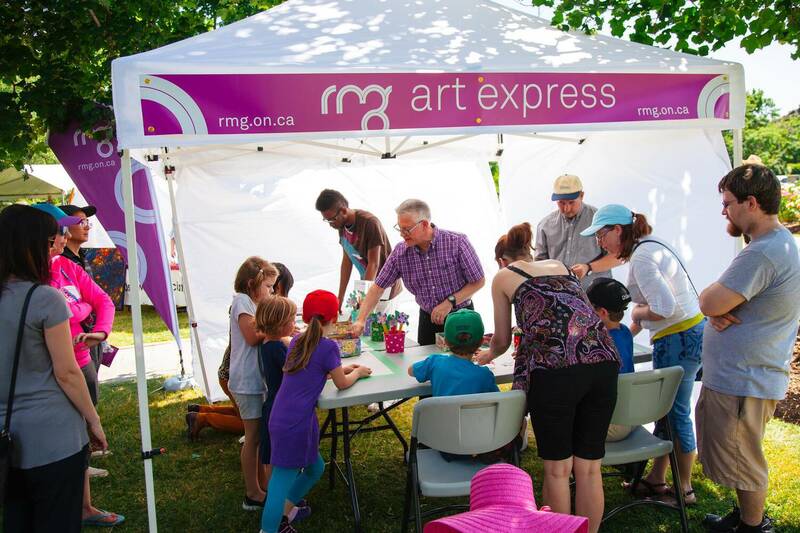 He developed a project and donated supplies to our Art Express tent at Oshawa’s annual Peony Festival. While facilitating projects, he promotes gallery programs and events; A vital component in engaging the public and broadening our reach as an organization. His newest project teams up our Senior Curator and Manager of Community and Volunteer Development. Steven will research and interview community members who have witnessed the gallery’s evolution over the past 50 years. This aims to engage and educate the public about the gallery’s impact on artists, citizens and local history in celebration of the RMG’s 50th Anniversary in 2017. Steven’s energy, enthusiasm and continued support means we can reach beyond staff resources and engage citizens on a higher level, serving our statement of purpose: The Robert McLaughlin Gallery is dedicated to sharing, exploring and engaging with our communities through the continuing story of modern and contemporary Canadian art.